It’s fun looking back at old NFL games and matchups, especially when teams from AFC face NFC or same conference but non-divisional games. Since those teams don’t play every year (whereas divisional opponents play twice a year), it makes it interesting to look back at the series history between teams. There are 6 non-divisional games in NFL week 10. When the Saints last beat the Bengals in 2010, it was Carson Palmer’s final month with Cincinnati and the team came into the game 2-9, simply playing out the stretch run. Chad Johnson and Terrell Owens combined for 11 catches for the Bengals. For the Saints, Robert Meachem was their leading receiver with 106 yards and a TD. Jimmy Graham and Marques Colston, who scored the other Drew Brees TD pass, each caught 3 passes and Lance Moore caught 6, leading the team. Chris Ivory ran for 116 yards and 2 TDs for the Saints as well. In 2014, Andy Dalton went 16-22, 220 yards, 3 TD and 0 INT. 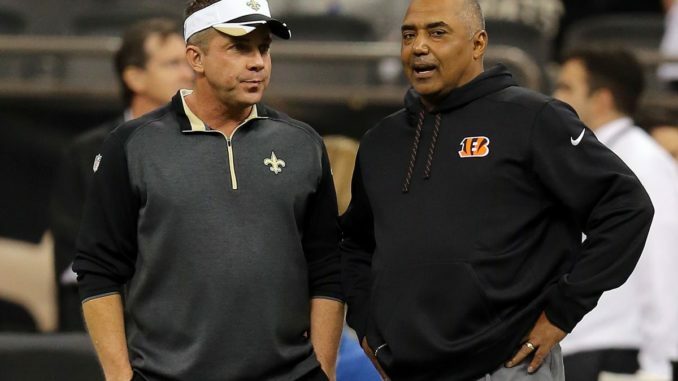 It will take another amazing performance like that to give the Bengals any chance against the Saints, who are coming off a major victory over the Rams. More than half of Dalton’s 220 yards (127) went to AJ Green (and 1 of his 3 TDs), who will miss Sunday’s game with an injury. The Bucs last victory against Redskins came in 2014, in a season where both teams finished near the bottom of the league. Coming out of this game, the Bucs improved their record to 2-8 while the Redskins fell to 3-7. Josh McCown threw for 288 yards, 2 TD, 0 INT for the Bucs. 209 of his 288 yards went to Mike Evans, who also caught both touchdowns. The Redskins were winding down the Robert Griffin era. Roy Helu Jr was the team’s leading receiver, with 6 catches and a TD. Notably for the Redskins, Silas Redd carried the ball 4 times for 16 yards. Not much remains on either side from the 2015 Redskins victory. Jameis Winston is now the Bucs backup and Kirk Cousins is gone. Both running backs have been replaced. For the Bucs, Mike Evans caught 8 passes for 164 yards and a TD and for the Redskins Jordan Reed led the way with 11 catches, 72 yards and 2 TD. That 2002 Titans win was lead by the legendary trio of Steve McNair, Eddie George, and Derrick Mason. In last year’s playoff loss, Patriots, now Titans RB, Dion Lewis carried the ball 15 times for 62 yards and than-Patriots, now-Titans CB Malcolm Butler made 4 tackles, including one for a loss. Another fun tidbit – Titans head coach Mike Vrabel spent 8 years playing linebacker in New England and also played a little TE – in short yardage, goal-to-go situations, Bill Belichick found a way to get Vrabel the ball. He was targeted on 11 occasions, caught 8 passes and had 8 touchdowns. By far, the most efficient stat line in NFL history. And he had just 11 yards receiving for his career. Patriots coach Bill Belichick has coached against a dozen former assistants, but Sunday’s game will be the first time he has ever faced a former player-turned-head coach. Fun fact – both QBs were the 10t overall draft pick the last two years – Patrick Mahomes in 2017 and Josh Rosen in 2018. Since the Chiefs are going to win this game, let’s reflect on the last time they beat the Cardinals, in 2010. They won the game 31-13 in an absolutely fascinating QB matchup in hindsight – Matt Cassel started for the Chiefs against Derek Anderson for the Cardinals. Incredibly neither QB threw an interception! The Chiefs were carried by a strong run game – Jamaal Charles had 88 yards and Thomas Jones had 71 yards. Larry Fitzgerald had 90 yards receiving and a TD and Dwayne “rain” Bowe caught 6 passes for 109 yards and both of Cassel’s TDs. Interestingly enough, Mike Vrabel was on the Chiefs and was targeted once but didn’t make this catch. This would be one of the three non-catch targets in his 10 year career. The 2014 ending was thrilling as Aaron Rodgers faked a spike and threw a four yard touchdown pass to TE Andrew Quarless, with just a few seconds left. The head coach of that Dolphins team was Joe Philbin. Philbin held the job in Miami from 2012-2015 and prior to that was a Packers offensive assistant from 2003-2011 (including OC from ’07-’11). Philbin returns to Green Bay this season as the Offensive Coordinator, for an offense that is really struggling. Aaron Rodgers hasn’t looked like himself this year and other than Davante Adams, injuries have plagued his receivers and inconsistent running back rotations have stalled any momentum in the run game. For more NFL talk, follow me on twitter @msschneid and instagram @mikedropsports.